1. Sieve wheat flour, gram flour and salt together. Mix ajwain, red chilli powder and oil well using your hands. 2. Add little water at a time and knead into a stiff to medium dough. 3. Cover with a muslin cloth and keep for 10 minutes. 4. Divide into small balls of equal portions and roll it into a small round puri. Apply ghee or oil if needed while rolling. 5. 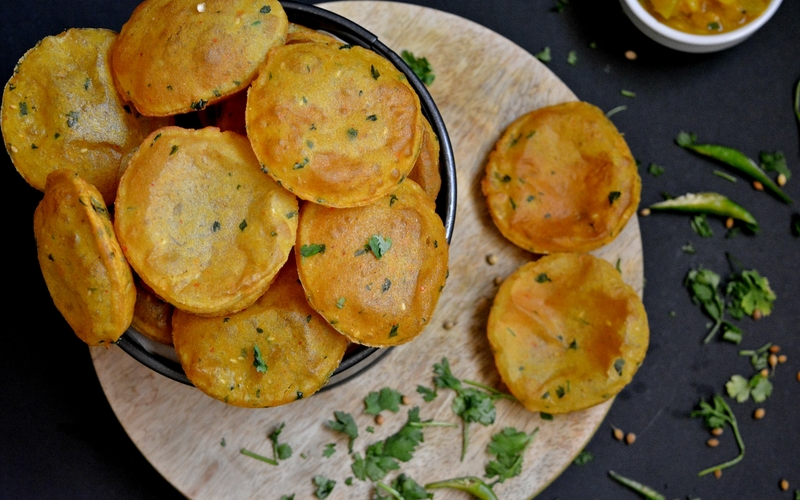 Heat oil in a wok (kadahi) and fry puri one by one until puffed and light golden brown.